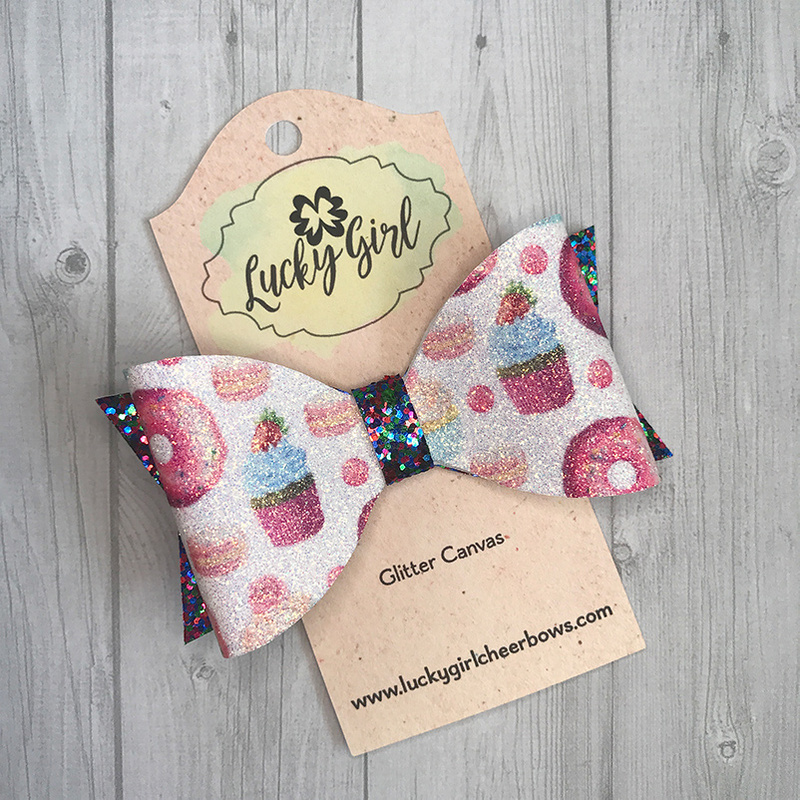 From our Modern Bow Collection — a sweet little sparkly bow with sweets graphics, glitter accents and an alligator clip on the back. 3.75″ wide by 2″ high. 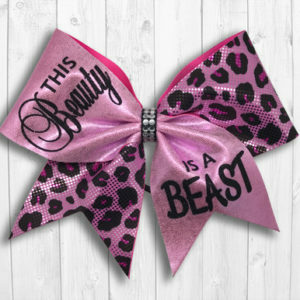 From our Modern Bow Collection — a sweet little sparkly bow with sweets graphics, glitter accents and an alligator clip on the back. 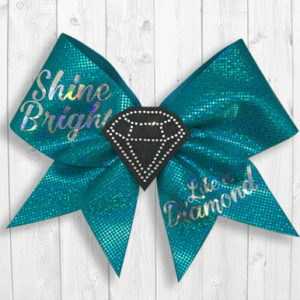 3.75″ wide by 2″ high, made from glitter canvas.